Purdue researchers are studying plants under highly consistent growth conditions that are difficult to replicate in the field. These uniform conditions allow for precise control over experimental variables. In 2016, imaging systems were installed to enable rapid, clear-cut measurements of plant traits such as size and color. 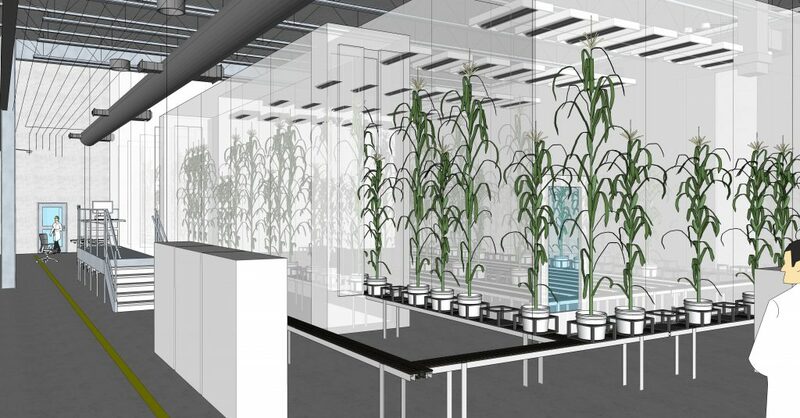 For even better data quality and higher capacity, a new Controlled Environment Phenotyping Facility is planned for 2018. At approximately 7,300-square-feet, this facility will accommodate two large climate chambers, each containing conveyors and robots to move and care for plants. 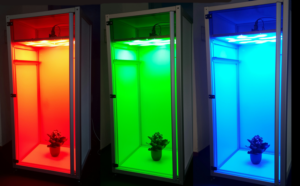 Growth areas are linked to a series of automated imaging systems that will also be accessible to image plants from any campus greenhouse or growth space. If you have trouble accessing this page because of a disability, please contact Institute for Plant Sciences at agweb@purdue.edu.